I am home SICK today... yes I probably pushed it too much this weekend. I am hoping for a speedy recovery since I have a Half Marathon this Sunday on 3/21!! I am not alone, this race will bring out the Bloggies and Buddies alike. After the race most of us will be eating lunch to celebrate Amanda's birthday. It is going to be a blast. But before the fun I have to put in the work. I love the way Marlene posts her race goals so I am going to use her format. I have heard that the course is HILLY. I plan to drive the course on Saturday. It always helps to get a feel for the course prior to running so I can mentally prepare my pacing and effort. My first Half, The Capital City Half HERE was a rolling hill course. This is the first race of the year. I feel like I am in better shape then any past race. I hope I can kick this sickness so I am at optimal performance by Sunday. I was so sorry to see on FB that you're home sick. Well, happy that you took the day off, but sad that you're not well. Take care of yourself so you're all better for this weekend! I love your ABC goals. :) I have a good feeling... you've been running strong! U will for sure break 140! Esp coming off of being sick bc u will feel so good come this weekend!! Ryan and I are running a half on sunday too, the New Bedford Half. Take care! Feel better!! Take care of yourself being sick! Just rest and lay low...you don't want it lingering (trust me!) I'm just now getting over the sick thing. and DANG 1:40 is speedy fast. You go w/that PR. Good luck!! 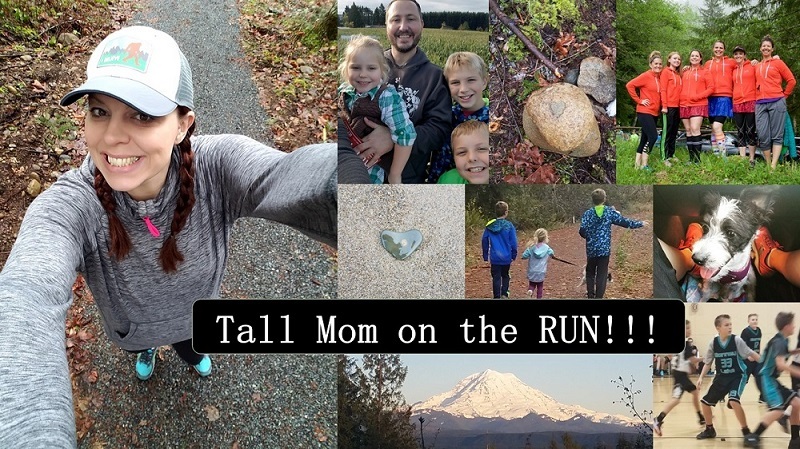 I am running Mercer Island too! love your goals-with how speedy your training has been, you will get your sub 1:40 for sure! Rest up, and feel better. Get some rest and get well soon. You have a race on the horizon! Good luck, I know you'll rock it! Feel better. You are going to do awesome! I think that is a great idea to drive it first. Have a great week! Rest up--you know your work is done so don't push yourself this week. You'll do great from the sounds of your recent runs. Good luck! green tea+oj+chicken broth!! that is the cure!!!! its too bad ur not well. but u have lots of time to recover before the race. sounds like a great plan! I always like to know what's ahead of me on a course too! good luck with your race this coming weekend! hope you kill it! Hey, I'll see you out on the course. Hills indeed, but oh well. I just signed up after I ran 11 miles yesterday and figured I can do 13 this weekend. Feel better and enjoy the time off as an added taper bonus! First - So jealous you all get to race together. Second - as long as you've shaken this illness (and probably if you haven't) you'll go sub 1:40! Third - Rest up and get better! booo.. have some tea!!! i'm home too but it's cuz there is flooding all over the place here!!! our work supervisor called us this AM and told us to work from home. not safe!!!! Get better so you can go get that A GOAL!!!!! Feel better soon. I know you can! Your training has been so great I know you are going to amaze yourself and have loads of buddies with you to share it. You are so blessed! Sending healthy thoughts your way. Good Luck and have fun. I just finished my first half marathon and it was tough! It was 6.5 miles of uphill where we gained 2000 feet in elevation. But it was a beautiful, warm perfect day and afterwards we had a great lunch with friends and then went swimming in the hot springs. Feel better I can;t wait to hear how you kicked it on the half! Oh no- rest up and feel better so you can rock that race!!! I have a 1/2 on Sunday too, so I'll definitely be sending happy race thoughts you're way! Rest up and feel better - I love your goals! Sub 1:40 is all yours! Good luck with the half marathon! I love the goals! Really inspiring! Good luck and I hope you feel better in time for the race! Rest. Rest some more. And then rest. Seriously! Looks like some good goals! Get well soon girl so you can rock the race! Oh hun, I am so sorry to are under the weather! I hope you feel better fast! Your A, B, and C goals look great! Oh no! I hope you are feeling better ASAP!!!! You are going to rock this race, I know it. Hope you feel better soon! I am sure you will ROCK the half! You ran 18 not feeling great...You will rock MERCER...You always do great...even if you don't think so! Rest, drink Tea and you will do great. Can't wait to catch up for our pre-race drive. You are going to do great...I just know it. It will be so fun to have lunch and de-brief on the race. So fun! Love the goals!!! I too feel like I am in better shape than for any other race...with that said I have not been doing any hill training! OKC is F.L.A.T.!!! =) oh well! I am excited!! I cant wait!!! feel better and rest up!! i got sick right before the marathon but it turned out to be a good thing. forced me to rest!! good luck!